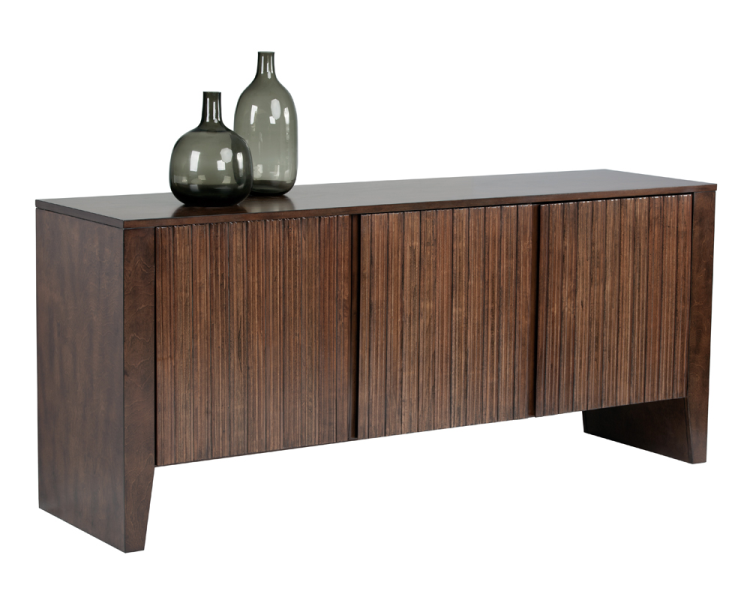 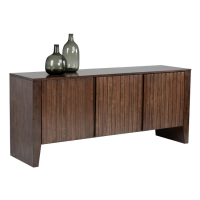 This sideboard has an exotic and contemporary look. 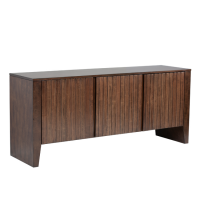 Made of solid wood and veneer finished in a brown stain. 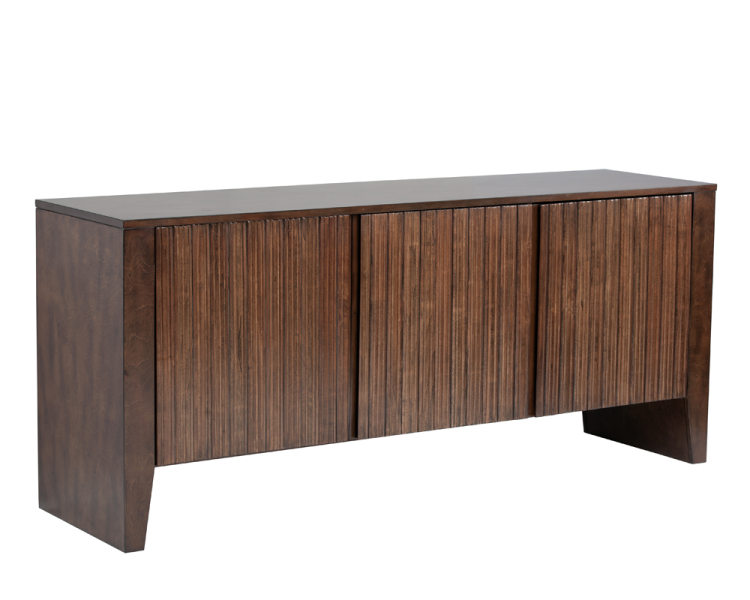 Detailing on the face of three cabinet doors adds texture and depth.